Featured on the golden crescent of Mirissa Beach, overlooking the glistening Indian Ocean, Elysian Mirissa is designed to offer its residents the beach as their front yard and a unique blend of cosmopolitan resort style and a tranquil seaside lifestyle. Taking inspiration from fascinating structures of lighthouse, architect Milroy Perera Associates showcased their immense talent in beautifully crafting five towers with each apartment unit offering unparalleled views of the blue and green horizon. The apartments encapsulates modern, functional, luxurious amenities and features well matched to its design, with focus on structural details and fine finishes for a resort style living like no other. It is situated in the middle of historic Galle and Matara, as a central place in line with the Southern Express Highway. As the topography of Mirissa is concerned, it’s natural, not a built-in landscape. Its beach, which is aptly termed, Secret Beach, has a different landscape and natural vibrancy compared to others. One can find traditional living, cultural background and people living in classic south oriented lifestyle which is specific to southern region of the country. Traditional crops cultivation, paddy farming, fishing, retail business, and tourisms are the key livelihood among the Mirissa coastal communities. A total of 154 apartments across the 5 towers offer a resort lifestyle like no other with built in amenities within the premises and all units offering breath taking view of the majestic Indian Ocean. Our specially curated management services offer you peace of mind along with the option of managing your investment remotely. Renowned Architect Milroy Perera has designed this iconic property representing momentousness of one of the most beautiful and fascinating historical buildings of all times - Lighthouses. The charming landscape on which Elysian Mirissa is located, is in between Sea and Colombo Matara coastal road. Land is situated in an unoccupied area, not densely populated. Milroy Perera Associates have brilliantly designed for Towers to stand on 3 acres land elevating about 60ft from the sea, while the land is fully preserved for its future dwellers. 70% of the land has been set free for exterior use and landscaping surrounding the towers. We are one of the few companies in Sri Lanka set to offer Absentee Landlord Management Service, catering to any individual that travels extensively, leaving their property unattended. With exciting new tools to implement, which from an investors’ perspective, translates to an entire portfolio of properties managed through one platform. We offer our clients the convenience of being an absentee landlord with the confidence of knowing their interests are taken care of. We provide Property Management Services that look after repair and maintenance, utility bill payments, financial record management and on-site inspection. Elysian Mirissa will offer a wide array of hotel amenities and services ranging a concierge, management of rentals, apartment restocking, room service and housekeeping. A dedicated hospitality staff at premises will cater to the needs of our guests and ensure a memorable experience like no other. Reinforced concrete pile foundation. The structure will be a reinforced concrete structure with concrete slabs and beams. 200mm thick solid blocks will be used for all external walls. Exterior paint – five coat system. 200mm and 100mm thick solid blocks will be used for internal partition walls. - All internal walls will be skim coated with emulsion paint. Skim coated soffit ceilings, with emulsion paint in all living areas Suspended ceiling for entrance foyer, pantry, toilets, utility room and service areas. High quality imported tiles will be fitted in all common areas. 600mm x 600mm high quality imported tiles for all residential areas. Main entrance and service entrance will be fire-rated engineered timber doors - Internal doors will be engineered timber doors. Fire-fighting equipment provided at each level as per the fire department specification. - Fire and gas leak detection systems. National Grid supply with back-up generator. Bathrooms will be built with imported flooring and wall tiles up to ceiling level and tempered glass shower cubicles. Accessories such as wash basin with counter tops, water closet with flush valve system, mirrors, mixer taps, hand bidet shower, towel rails, toilet paper holders, robe hooks, shaver power socket and soap dish holders will be beautifully fitted in to ensure all essential sanitary needs are met. (All bathroom fittings and accessories will be internationally renowned brands approved by Architect). Hot water will be supplied via geezers to bathrooms and pantry. All living areas including bedrooms will be equipped with multi-split air conditioners and ceiling fans. - All toilets and Kitchens will be mechanically ventilated through extractor fans. Two elevators per tower. Tower 5 equipped with four elevators. Having understood the need for high quality real estate and apartment properties in Sri Lanka, the company has embarked upon a mission to provide the lifestyle much desired by our customers. For nearly 38 years, Weerasooriya Builders, our parent company, has been synonymous with strength, trust and reliability. Over the last 4 decades, the company has been growing from strength to strength creating absolute value for money for all our clients as well as our other stakeholders and suppliers. 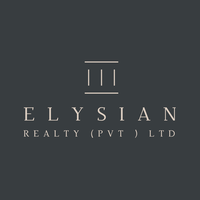 Backed by the financial strength and expansive network of the Group, Elysian Realty (Pvt) Ltd is well on its way in creating an innovative experience for all our customers. With over 40 years of local and international experience, and an innovative and forward thinking approach to architecture, Milroy Perera Associates (Pvt) Ltd is a leading and well established design firm experienced in construction designs of many forms in collaboration with local and international architects, such as Geoffrey Bawa of Sri Lanka, Chandra Abeysinghe of Singapore, and Richard Murphy of UK. 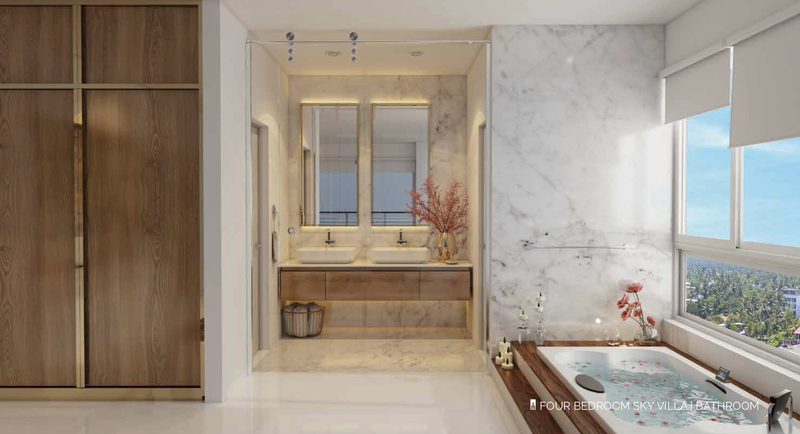 The firm has come up with impressive structures such as the Kandalama Hotel in Dambulla, the lavish Blue Waters Hotel in Wadduwa, the towering Access Tower in Union Place, and the British High Commission in Colombo. In addition, the apartment buildings of Fairway Residencies, Fairway Sky Garden conceptual design up to construction stage and Radion Residencies has been designed by Milroy Perera Associates. Weerasooriya Builders (Pvt) Ltd is an ISO certified organization which has completed projects exceeding 30 billion rupees in the recent past. The Company is a top-tier construction company in Sri Lanka and counts nearly 4 decades of experience in areas such as building construction, irrigation, road and bridge development, dredging and reclamation and many other large-scale projects. The company uses state-of-the-art machinery and modern equipment to ensure the utmost quality in all their undertakings.